You must make reservations at least 5 minutes in advance of the time at Della Fattoria. Della Fattoria Cafe is now open for dinner and accepting reservations three nights a week; Thursday, Friday and Saturday 5:30pm-9pm. Reservations for daily breakfast, lunch and brunch on the weekend are not necessary or needed. is warm, professional and personal. 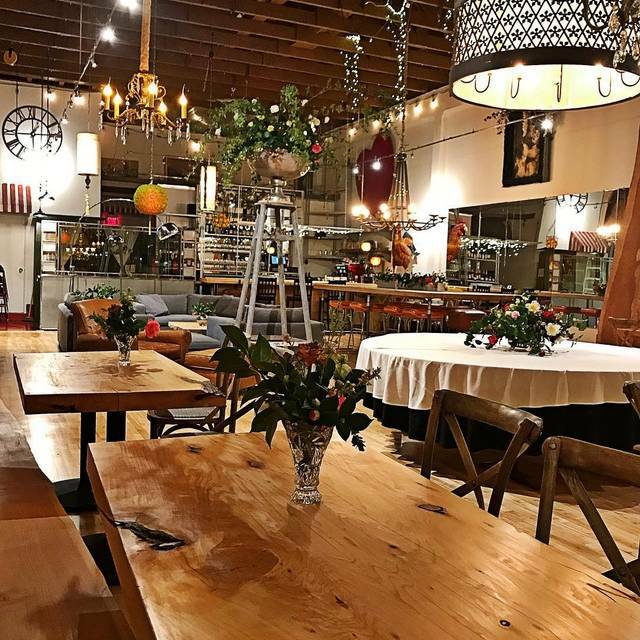 Housed in an historic downtown building, the newly remodeled Café space is furnished with handmade tables and benches, antique chandeliers and overstuffed chairs and couches making it even harder to leave. We just love going to Della for dinner. Any meal of the day really, but we love how charming it is at night. We get there about a half hour before our reservation and sit in their little couch area. We have a glass of wine or one of their delicious aperitifs. We feel cozy there. They have a little music playing and the staff is sooo incredibly nice, professional and warm. Then on to dinner- always fantastic, great fresh food with creative recipes. The nicest servers in town, I swear. Lovely evening to spend celebrating our wedding anniversary! Food was marvelous, conversation with Kathleen delightful and special thanks to the evening manager who rushed out to Putnam Plaza to bring my forgotten boxed leftover dinner after we left. 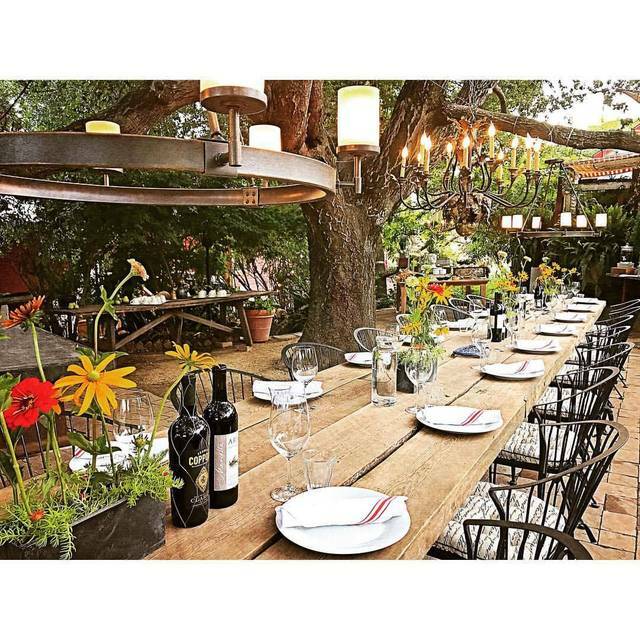 We enjoyed the hipster vibe at Della Fattoria and the food was delicious. I highly recommend the beef bourguignon. We paired it with a French Bordeaux (the wine list is fun and diverse) that went perfectly. The only strange part of the evening is that there was a Prix fixe but it was only available if everyone at the table ordered it! The dish I ended up ordering was on it but I had to order it separately as a regular entrée because not everyone wanted to go that route. Anyway, still a fabulous restaurant!! 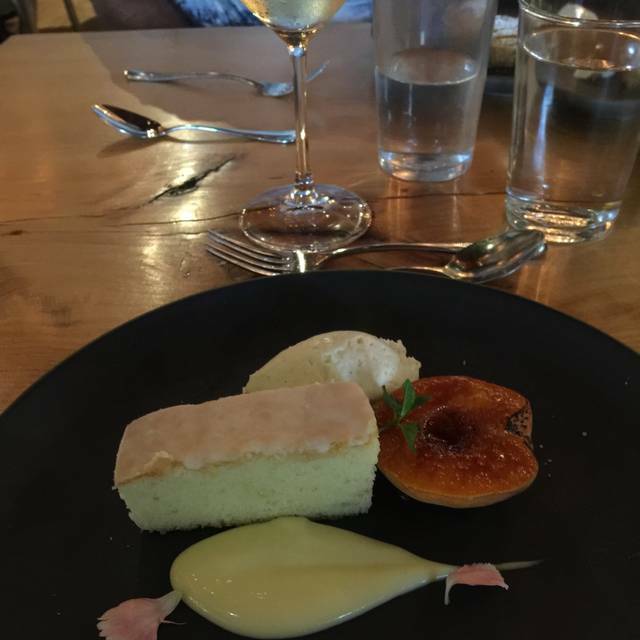 Team Della has created a wonderful dining experience in downtown Petaluma, beautiful, thoughtful, delicious food, perfect size portions and a fantastic wine menu with just the right balance of local and European wines. Service is warm and professional, overall great value and ambience. This was our first time dining at Della for dinner. We have enjoyed for breakfast over the last several years. Food for dinner was a bit disappointing. Onion tart starter was excellent and would highly recommend! Polenta with roasted vegetables was bland, almost unappetizing. My husbands hamburger was good but accompanying frites well done and dry. Atmosphere is interesting and lovely at night with interesting chandeliers and service was warm and attentive. Still a favorite go to breakfast dining. Had a awesome dinner with my friend Sat night. The risotto was very good . I wished they offered parmesan with the meal but it was outstanding either way. Lovely as usual. A mix up with what was on the charcuterie tray but otherwise wonderful. Brought hubby here for his birthday - second time here. The food is simply amazing, a great Petaluma dinner newcomer. We have great restaurants, but this is among the top right now. I had the winter vegetable soup (to die for), the stuffed pork, my husband had the beet salad and special beef wellington (served amazingly perfectly rare). It's a flavor experience with uniqueness, everyone is friendly, staff is great, and love the decor:):) Don't miss out! 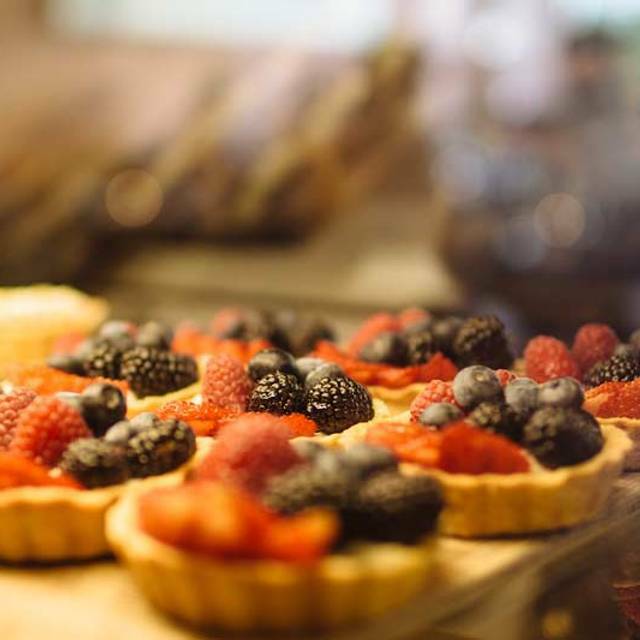 No matter if you come to Della Fattoria for Lunch or Dinner you will have a delicious meal served by attentive staff and will be treated to a quirky and beautiful atmosphere. The owner, Kathleen Weber is friendly and welcoming, she takes time to chat with guests at her restaurant. This has quickly become one of our favorites!! Highly recommend you experience this Petaluma Hot Spot. Wonderful evening, outstanding food, delightful owner. Thank you so much Kathleen! 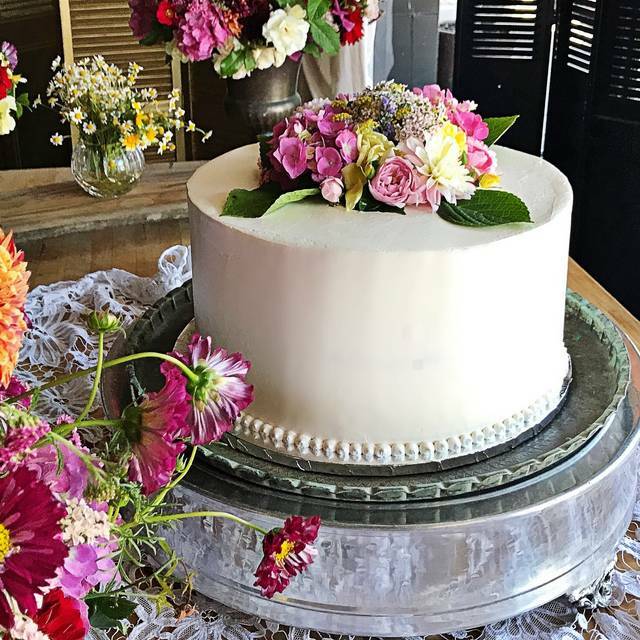 We thought our first time at this Petaluma treasure was a success. The 'only' thing we didn't care for was the uncomfortable and rickety wooden chairs that seem to adorn most of the tables. The eclectic decor is fun. The hostess tried sitting us near a large loud party but we asked for another place which we got a choice of. I think this is a popular spot as the room soon filled up. The roasted veggie starter was probably our favorite dish, served above a parsnip puree...although my entree was great. My husband had the petrale sole and it was good but strange in preparation and texture. It was rolled somehow and seemed poached. It was kind of almost mushy and not our favorite. I had the Shrimp Agnolotti pasta dish and that was amazing. We shared a good, not great piece of chocolate cake that the server raved about but I felt could have been a tiny bit more fresh. The coffee was good. Petaluma has SO many great spots that I doubt I race to return here, but if we got invited, we wouldn't mind. I love DF! Their short ribs is one of the best dishes I’ve ever had. I just have to say that they are a little highly priced relative to the amount you receive. $10 for a couple pieces of focaccia bread is a little crazy. Delish, but should be $6 max. In my opinion anyway. That being said, I’d still go every Friday night. Such great fresh food. Yummm!!! We loved our dinner at Della. The food was outstanding, the atmosphere is romantic and cozy we will definitely be back. The food was good but the service was not. We waited almost 20 minutes to be seated with reservations. We waited a very long time for our food. They were apologetic but we are not likely to go back. I have been there for lunch and thought it was good: reasonably priced and good service. Dinner was a different story. The service was sub-par - just basic stuff - water glasses not being refilled, difficulty getting a second glass of wine, dishes not being cleared at the appropriate time. Food-wise: The starters were good but the main courses were unsatisfactory. The petrale was fishy. The pork was tough. The menu was small especially in the starter department. Also, some of the tables had a bar so that you couldn't sit close to the table unless you spread your legs apart...not a ladylike way to sit. On the plus side, the tables were well-spaced and it was fairly quiet where we were sitting. I am hoping that with time these things will be corrected. Our new go to restaurant!!!! Incredible beef Wellington! The best I’ve ever had. They only serve it as a special so call in advance to be sure they are serving it. Everything outstanding. Kathleen (owner) was so hospitable and gracious... the food & wine was wonderful. Would recommend to family and friends!!! Went for dinner last Saturday night. Was seated promptly at the time I reserved for. My appetizer was excellent (root vegetables on a parsnip puree). The puree was light and creamy and the vegetables were roasted to perfection. No need for any salt or pepper as the seasoning was spot on. Had the polenta with vegetables for main course. Again excellent. Split the ice cream for dessert with my wife. Left the restaurant feeling sated but not stuffed. The staff was attentive but not overly so. Love, love, love! What a great evening at Della Fattoria. We made a reservation, for a Saturday night, less than 30 minutes prior to when we wanted to dine. So convenient! I found the ambiance to be so cool, hip, and eclectic. I felt like we were dining in a chandelier store... but in the best way! Our server provided just the right level of service: warm, personal, and not at all fake (as so many waiters can be.) Nice, simple attentive touches in checking back in, the table side pouring of wine (even allowing me a sample taste, prior to filling the glass, which is unusual with a wine by the glass program), and even a quick visit by the owner. The food came out quickly, plated beautifully, and the flavors sang. I was sad by the time I took my last bite, knowing I was completely satiated, though my taste buds wanted more. I cannot find the words to express how much I enjoyed my meal; I will be back soon! Absolutely loved our meal and would highly recommend dinner at Della Fattoria. Great service! Our second time to have dinner with DF. First time the service was on the slow side. This time Seated right away but we waited too long to give drink and dinner order. Ordered the focaccia bread appetizer and had to remind our waitress 15 min later. She then only brought us a couple pieces of bread in a napkin served only 2 min before our entrees were served. Then dessert took forever. Might try you in a year or two if still in business. 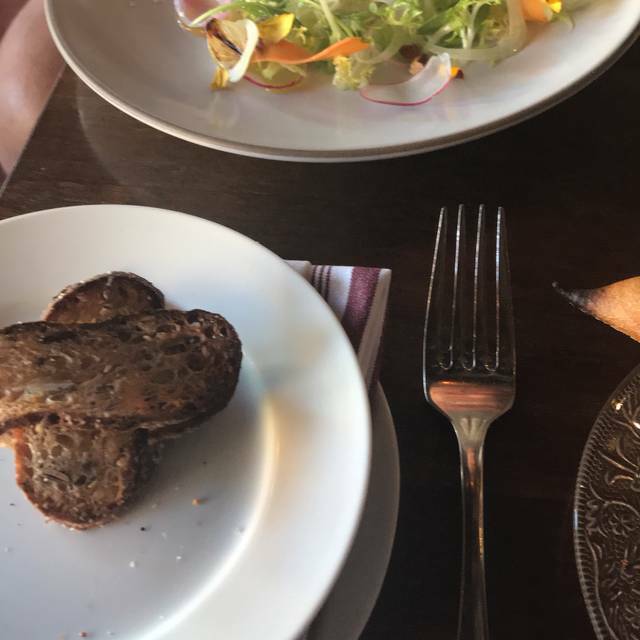 I love the bread at the Della Fattoria Bakery, and the dinner menus looked delicious, so I planned to go to the restaurant for a special occasion. It was then that I found out that the menus are a bit deceptive. I ordered the Farmer's Garden as a starter, and there was far more custard than there were vegetables in the dish. While all of the ingredients were delicious, overall it felt out of balance, and too heavy. Because I thought there were more vegetables in the Farmer's Garden, I ordered a different entree than the one I 1st planned. I ordered homemade ravioli with prawns, only to find out that the "prawns" were minuscule shrimp the size of a dime. They were so small, you could barely see them on the plate. When I think of "prawns", I think of large, meaty shrimp with the chewy texture and briny taste. They could not get away with what they call "prawns" in any other locale. I still love the bread and pastries that Della Fattoria bakes, but I am not nearly as seduced by their dinner menus as I was before. Stick to the bakery and brunch! As always, at Della, the plates are incredibly well thought out and wonderful to take in. Ourr server, Nicole was super attentive, insightful, and an absolute delight... overall, our experience could not have been improved upon. Very highly recommended. I love Della Fattoria. I am a local and dine there often. I have only had dinner there 3 times. I ordered the pork loin and, unfortunately, it was not cooked. Our server was very accommodating and I promptly got something else in is place. All in all...a wonderful and fantastical place to dine!!! Opulent abundance!!! Our last visit was on Valentines Day. They had a Prix Fixe menu. The entire experience was great, from the first course to the last. All perfectly prepared, and just the right service. We have been there for dinner a few times, and Mothers Day. Always great food, perfectly portioned, and delicious. My evening was nice, serving sizes were small, decor doesn’t match and is basically a bunch of sticks hanging from the wall, it’s small menu and everything is called something fancier then what it actually is. Service was great and food was out quickly and hot! One of my favorite places for breakfast and lunch but was incredibly disappointed by their dinner menu and final dish, ate one bite of their prawn ravioli. Service is always impeccable and they did not charge for my plate, but I was bummed to have been the one who recommended the restaurant in the first place. Eclectic interior with some 4 tops and 2 tops. A few large community type tables. High tops and low tops. If you find yourself on a wooden bench ask for a seat cushion. Food is great!! Della is our favorite restaurant and we eat there frequently. 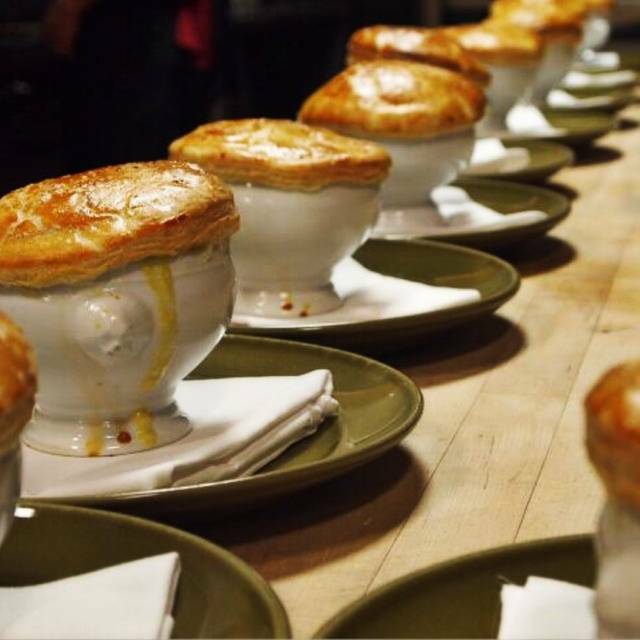 The food is outstanding, there are interesting twists on classic dishes. The new menu has a pizza on it, since their bakery is perfect this is a nice addition. Our friends were equally happy with their short ribs and stuffed pork loin. Kathleen Weber, the owner, is always there making the guests seem like they are part of the family. Excellent food in a beautiful setting. Our waitress went out of her way to ensure we made our theater time. 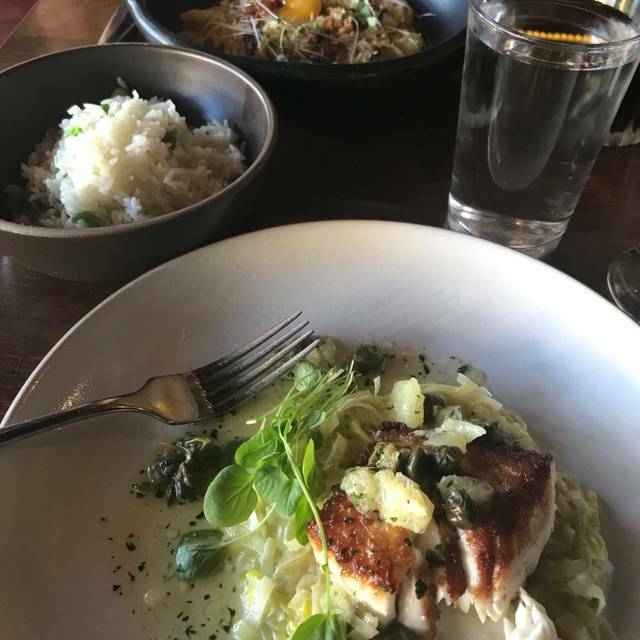 Our meals were so delicious, the service was very pleasant, the ambiance was great, and we were having a great evening, even before the owner stopped by the table to chat. That was the icing on the cake! The place is beautiful. The staff were great. The food was mediocre, especially for the price. The portions for the main dishes were tiny. On one the food was seriously undercooked and the other Prawn dish came with only one prawn! Lovely place in so many ways, but they need to step up the game on the food with dinners. It was a great dining experience overall. The staff was so friendly, the food delicious and I love the ambiance. 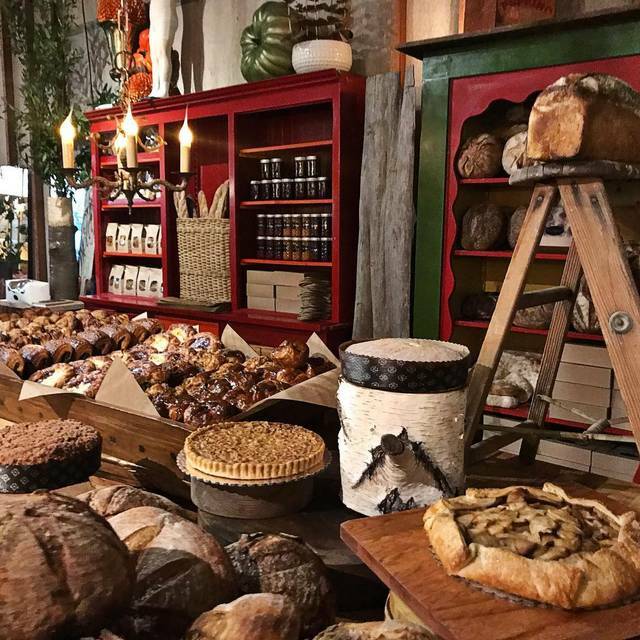 Do yourself a favor and try all of their bread from the bakery next door. It is delicious, especially the rosemary meyer lemon bread. Out of this world! Such a good dinner. Everything was cooked perfectly and our server was so nice and friendly, as well as knowledgeable about the food. Definitely going back for dinner.